Almost three years after the first voluntary handover of power in Russian history, this book examines Putin's management of this complex agenda, and considers how Moscow's current approach to international relations resembles and differs from that under Yeltsin. Examines Putin's management of Russia's foreign policy two years after the first voluntary handover of power in Russian history. Considers how Moscow's current approach to international relations resembles and differs from that under Yeltsin. Analyses whether changes in foreign policy have been qualitative, or largely cosmetic. Explores growing talk of a ‘strategic partnership&apos' with the US and the West. Assesses the realism of such hopes and considers whether we are indeed witnessing a strategic shift in the mentality and conduct of such Russian foreign policy. 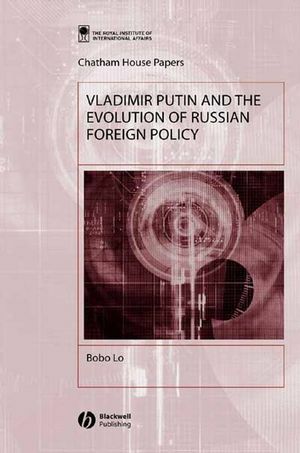 Bobo Lo is an Associate Fellow at the Royal Institute of International Affairs at Chatham House, and the Visiting Fellow at the Carnegie Moscow Center. He has written extensively on Russian foreign and security policy as an independent researcher and, previously, as First Secretary and then Deputy Head of Mission at the Australian Embassy in Moscow (1995-99).